Those long waits impose an unacceptable burden on the most badly injured former soldiers, said a veterans advocate who suffered through the same treatment just over two years ago when he filed his post-traumatic stress claim. "You're sitting there in limbo," said Don Leonardo, a former peacekeeping soldier. The figures, released last week in response to a written question posed by the Conservative opposition, revealed that in the 2017-18 budget year Veterans Affairs received 36,437 applications for benefits. Of that number, 15,949 applications — 43 per cent of the total — were completed within the department's self-assigned target timeline of 16 weeks. A further 17,650 (48.2 per cent) took between four months and a year; 3,110 (8.5 per cent) of the applicants waited more than 12 months. The files completed on time were likely "the easy ones," said Leonardo, adding he believes they probably involved simple claims such as hearing loss. The more "complex" injuries are the ones that take more time — and they're the ones that lead to extraordinary hardship when they're delayed, he said. 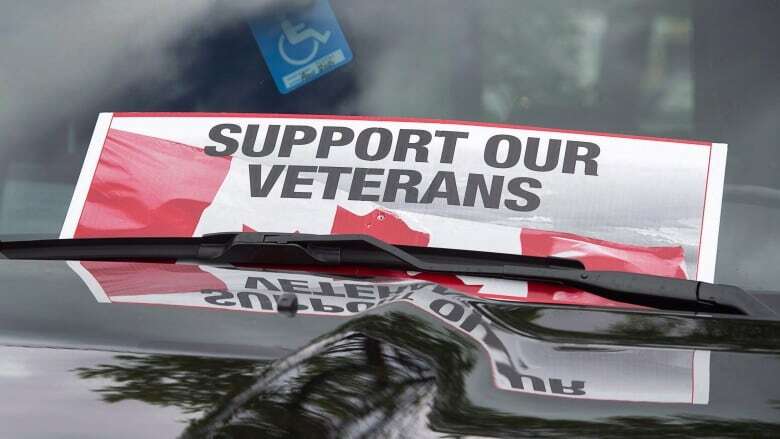 Conservative veterans critic Phil McColeman said the backlog — the number of cases that don't meet the 16 week service standard — is a sign of "dysfunction [in] the department" that would never be tolerated in the private sector. "It's depressing to see these numbers, frankly," he said. "If I was in business and saw these numbers, I would have to say there is something dreadfully wrong." "We won't look to the previous government for advice on this matter where they, as the auditor general put it, were 'not doing enough' to facilitate veterans' timely access to mental health services and benefits," said Alex Wellstead, referring to Auditor General Michael Ferguson's 2014 review of veterans mental health services. Wellstead noted the department has hired an additional 470 staff and committed an extra $42 million to tackle the backlog. "More complex applications can take time," he said, adding that measures have been taken to simplify the application process. "If you're getting out the military on a medical release, why are they adjudicating the claim again when you have military doctors saying that he's unfit, or she's unfit, for service?" asked Leonardo. There have been cases of former soldiers, bounced from the military over a medical condition, being denied benefits for that illness by Veterans Affairs. That disconnect between National Defence and Veterans Affairs has long been a sore point with former soldiers and recently-retired Canadian Forces ombudsman Gary Walbourne — who repeatedly took both departments to task over a policy he said didn't make any sense. No move has been made to change that policy since. Leonardo said that should serve as a caution to newly retired veterans.